Thıs ıs a rare opportuity to dıscover Bulgarian cultural heritage, important part of which is wine-making. 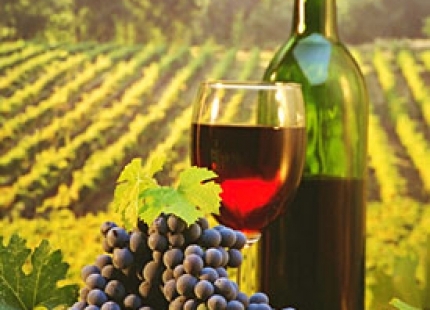 Merit for the great taste of the Bulgarian wines is the specific climatic and geographic characteristics, and the ancient tradition in the area of viticulture and winemaking. Zagreus were worshipped by the Thracians as gods of wine and merriment. Evidence for the ancient Thracian traditions in wine production and consumption are the magnificent Thracian treasures, which are mostly wine sets. Departure for the cıty of Plovdıv vıa 3 wineries. THIS DAY you will visit 3 wine cellars, established at the foot of Rhodope mountains – Brestovitsa, Villa Yustina in Ustina village and Bessa Valey in Ognyanovo. While first three wineries produce mostly local wines, Bessa Valley, owned by French wine-maker, is oriented toward French style wines. Day 2. Plovdıv – The Valley of Thracian Kings – Sopot – Panagyurishte (258 km). Breakfast, Lunch, 2 wine tastings. After a breakfast - walking tour, including Old Plovdiv, Amphitheater, Roman Stadium ets. Departure for Kazanlak, the capital of The Thracian’s Kings Valley and Rose Valley. Visit of the Thracian Tomb (included to UNESCO World Heritage List) tasting of rose products in local museum. Light Lunch. After breakfast departure for Sofia. Guided walking tour of the city (about 2 hours). You will see St.Sophia church dating back to 5th-6th century, a monument of Bulgarian medieval civilization, giving the current name of the city; visit to the the largest cathedral Alexander Nevski with its gilded dome, the rotunda St.George (3th-4th century) and the city fortress. The Archeological museum in the building of the Büyük Camii. The Buyuk Mosque or Koca Mahmut Pasa Camii (period of construction 1451 – 1494 ) is the biggest Islamic building in Sofia, transformed into a depository for archaeological finds and antiques from Bulgarian lands. The premises and collections, enriched over the 110 year history of the Archaeological. Museum, currently attract many visitors to the city centre. The museum was opened to visitors with its first exhibition on 18 May 1905. The Banya Bashi Mosque ( Banya Basi Camii) was built over natural thermal spas and named after the neighbouring Central Baths. The mosque was completed in 1576 and is therefore one of the oldest in Europe, as well as the last functioning mosque in Sofia. Transfer to Sofia Airport. End of Program. Bank transfers taxes , PayPal taxes etc.